Kroger is the largest grocery store chain in the United States, although until recently, it had not entered the food delivery market. Since 2014, some type of Kroger home delivery has been available in select markets. However, Kroger has started to rapidly expand its delivery service along with its ClickList service. This allows consumers to shop for groceries online and pick up their order without leaving their car. Kroger home delivery is currently available in select metropolitan areas as part of a test phase. Depending on the market, delivery is done by Kroger, Shipt, or Uber. In other markets, unaffiliated third-party delivery companies offer Kroger food deliveries. Kroger, which is based in Cincinnati, Ohio, is the largest operator of traditional grocery stores in the United States. Barney Kroger founded the company in 1883. He invested $372 in opening the first storefront in downtown Cincinnati. Today, Kroger is also the second-largest private employer in the United States and the second-largest retailer after Walmart. 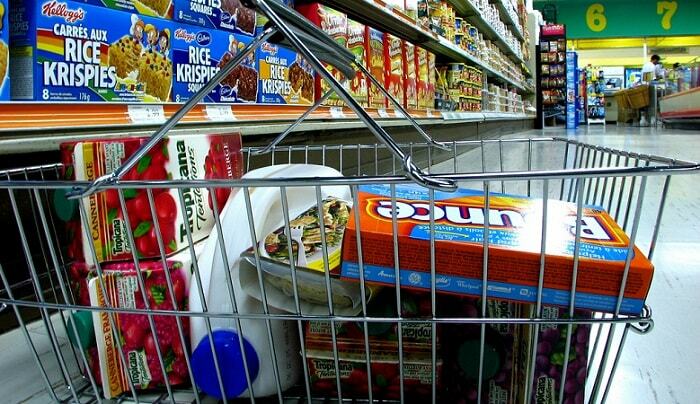 Kroger has more than 2,778 grocery stores across the United States. In addition to Kroger brand stores, the corporation also owns over a dozen major food and drug stores. Among them there are the following ones: Ralphs, QFC, Smith’s, Food 4 Less, and Harris Teeter. Kroger began home delivery in Denver, Colorado using its own vehicles, and for years never expanded the service. As Amazon.com has started offering home delivery, Kroger has stepped up its game. Since 2016, Kroger has rapidly improved its home delivery service. Moreover, it has experimented with different ways to quickly deliver food to customers’ homes. In some markets, Kroger directly delivers groceries, but in other markets, a third party company is used such as Shipt. 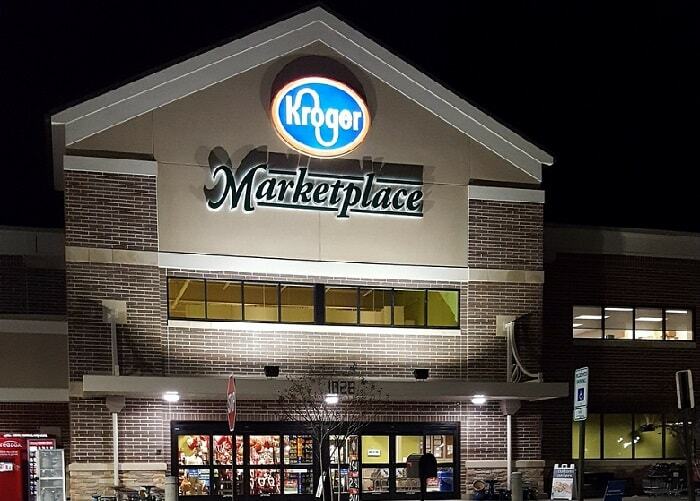 Kroger began testing with Uber delivery in a few markets in 2017. This allows customers to order groceries through the company’s ClickList service and choose to have the food delivered by a local independent Uber driver. Dallas, Texas (through Uber or Shipt). Richmond, Virginia (through Uber or Shipt). Cincinnati, OH (through Grocery Runners — unaffiliated). Michigan: Ann Arbor, Canton, Dearborn, Gross Pointe, Troy, and Westland. Kentucky: Frankfort, Lexington, and Louisville. Texas: Arlington, Dallas, Fort Worth, Garland, and Plano. Virginia: Norfolk, Virginia Beach, and Yorktown. Depending on the service chosen, home delivery from Kroger can take as little as one hour. More typically, shoppers complete their order through Kroger’s online ClickList program and receive a same-day time window for delivery. If Uber or a third-party company is the available delivery method in the market, a driver will pick up the order during this window for delivery. Kroger delivery is always available same-day, but the wait can be between one hour and several hours. The cost of Kroger home delivery depends on whether the customer is in a market for direct Kroger delivery, Uber delivery, or delivery through Shipt. In select markets in which Kroger vehicles make home deliveries, there is an $11.95 service fee for delivery. The delivery fee can vary by market, but it is typically around $11.95, which is added to a customer’s ClickList order. The customer can choose a delivery time and date and later receive a text from Kroger with a link to the Uber app to track the grocery delivery. Shipt is a membership-based service with fees that are separate from Kroger. Members must pay $99 per year for unlimited grocery delivery and free delivery on orders over $35. Unlike Uber and Shipt, Grocery Runners has no affiliation with Kroger. The fee for this service, which is offered only in the Greater Cincinnati area, is $10 per order plus 4% of the total cost. Kroger’s ClickList pickup fee of $4.95 also applies. In the not-so-distance past, Kroger stated it had no interest in offering home delivery as it believed there was no interest. This has rapidly changed as several companies — most notably Walmart and Amazon — have begun testing home food delivery. Amazon is now Kroger’s biggest competitor in the digital grocery arena. One study recently forecast that Amazon’s grocery growth will make it climb from the 9th largest grocery retailer in 2017 to the 3rd largest in 2021. This would put it behind Walmart and Kroger. In conclusion, Kroger is poised to expand home delivery to many more markets in 2018 and beyond. It’s true the delivery fee can be a turn-off for some consumers. However, many shoppers appreciate having more free time that they would have normally spent on errands. So, you can gain some spare time for a fee that ranges between $10 and $20. Have you used Kroger home delivery? Please leave a comment and let us know what you thought! Hey Buddy!, I found this information for you: "Kroger Home Delivery 101: Area, Hours, Fees". Here is the website link: https://all2door.com/kroger-home-delivery/. Thank you.